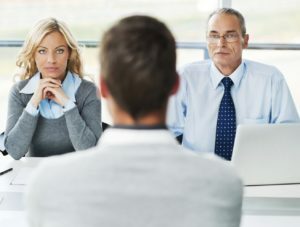 One of the most typical interview questions, and in some extreme cases, it can be the only question you will get when you meet your future employer (they will either hire you, or send you home right after your answer). But more often than not, it goes about a starting question. 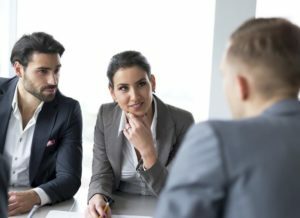 The hiring managers use it to break the ice, and to get a basic understanding of your communication skills, motivation, and expectations. It also helps them to see if you experience anxiety in an interview. Nevertheless, it is an important question. If you answer well, it will help you to relax, and you will build a good position for the rest of the interview with them. Remember that many recruiters decide in the first three minutes of talking to you whether they hire you for the job or not (it goes about an emotional decision, not a rational one). The tell me about yourself can actually be the only question you manage to answer in the first three minutes. Sure, they will ask you many other questions afterwards, following the template they prepared for the interview. But in many cases they have already made a decision, and the rest of the talk is just a formality (unless you manage to turn your fortunes around with some excellent interview answers to other questions they will ask :). First rule: Keep it simple and short. Do not go into details of your experience, education, or anything else. We will ask other questions that relate to your experience or education, later in the interview. Just briefly introduce yourself, ideally in less than one minute. If we want to hear details, if something catches our attention, we will ask you to elaborate on your answer. Second rule: Talk about things that matter to us. It is nice to hear that you have two brothers and live in a small city. But it has absolutely no significance for our decision in an interview. Try to speak about things that matter to us: why you are a good adept for the job, what you seek in your career right now, the most essential skills and abilities you have, the value you can bring to our team, etc. You see, from the first moment we should get a feeling that you believe to be the right match for the job, and understand the things we will gain if we decide to sign a job contract with you. You can mention some details of your personal life–a hobby, or passion you have, just to show us that you have some life outside of work as well. Third rule: Answer the question. If we ask about YOU, you should not talk about your past jobs, former colleagues, or about our company. We are interested in you, your dreams, skills, and values, the reason why you apply for a job with us. Many people actually talk about everything else, just not about them, when we ask this question. The key is to talk about you, but at the same time show us how everything that you have learned, done, and experienced in your life prepared you for the position you try to get with us. That is a key for a perfect answer. A good answer depends on the position you apply for, the level of your experience, and also the person you talk to (HR Generalist, external recruiter, CEO of the company, HR director, etc). 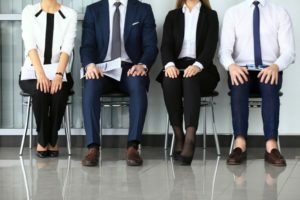 Let’s have a look at some common scenarios from the interviews. Hopefully you will find a good answer in one of the examples below. I am Mario, 25 years old, and I have just finished my Masters in Economy. I enjoy team work, and I am looking for my first job, ideally in a big company. I want to learn, and meet like-minded people in work. In my free time I like to run, read, and meet with friends. I try to have positive outlook of life, and take everything that comes my way as an opportunity to become a better person. I’m Jenni, living here in town. I have just graduated from high school, and I can’t wait to get my first job. I am an avid book reader and learner, and I really enjoy spending time with other people. And I’d love to work as a bank teller. I have a dog called Princess, and enjoy going for long walks with her. We often walk around this banking center, and it would be wonderful to work here. I’m Ron, I have graduated from XYZ college back in 2005, and I’ve been working with people ever since. They are my passion, my greatest hobby, and I believe that I’ve learned to understand them. As you can see on my resume, I have been unemployed for the past two years. I experienced a crisis in my personal life, and I needed some time away from work. Firstly to solve things out, and later to reflect on my life, and think about the goals for the future. Now I am ready to return to work, motivated to try my best every day, and I hope to be an asset for your HR team. That is what I’d say about myself. I’m Liliana, thirty years old, single mother. I excel in administrative work, and believe to be a nice companion. I have strong organization and communication skills, and hope to use these skills in a secretary job. I have studied your job description carefully and decided to apply, since the working hours suit me perfectly. You should know that my parents help me with my daughter, and I also have a nanny who comes to help. Apart from working I enjoy books and running. I’m Carl, and I have been working as a teacher ever since I earned my Masters Degree. But I found that the career in education is not really my cup of coffee, and for the past few years I’ve been learning various programming languages, mostly C++ and Java, preparing for a career change. Now I feel ready to make a transition. I feel excited, happy to start something new, and understanding the software applications you develop in your company, I believe to be a great fit for the job you advertise. My name is Caren, and I’ve been working in education administration for the past twenty years. My life is connected with education, becasue I try to follow my lifelong mission of improving the level of elementary schools in this county. I have had some disagreements with my last superior, the school principal, and they decided to terminate my employment contract, which is all right with me. I want to focus on the future, not on the past. I have read a lot about your school, your vision and values resonate with me strongly, and I believe I have in me what it takes to be a great assistant principal at your school. I’m John, I like to spend my time outside, walking in the nature, gardening. I’ve been working with computers for most of my life, and now I am looking for a radical change, since I am tired of corporate environment. I know that I may look overqualified for this position, but this is exactly the job I want to have, and I am eager to learn to do it well. I believe that once you have a relationship to animals, once you feel for them, you will quickly learn how to take care of the, and how to do a good job on a farm. My name is Jeremy, and the first thing I want to tell you is that I’ve spent the last two years in XYZ detention facility. I’ve made some mistakes in my life, but I had time to think and reflect in prison, and I believe I walked out the prison gates a different person. I like your retail store, I am strong and can handle manual labor, and I would be really proud to work for you. I hope you give me a chance to prove my abilities and strong working ethics in your store. I’m Marion, I graduated from social work at ABC College six months ago, and I am trying to get my first job. I feel for the children from divorce families and for orphans, and I would be glad to have a chance to work with them, and to help them to find their path in life. I like to go out, watch movies, but I also read a lot, trying to improve my knowledge of human psychology, and understand better my target group–the children. Would you like to know more about my education? Hi, I’m Antony, I’ve been helping numerous clients to earn profits on their savings and investments, and I have a passion for numbers, and for trading stock. I also enjoy sports, and I am very competitive. In this stage of my career I believe to be ready to work in private equity, and since your company stands out in my eyes, I decided to apply for a financial analyst job with you. These were sample answers to “tell me about yourself” question. We hope that you have found some inspiration in our answers, and that you will manage to prepare your own answer to this common question. Each of us is different, and every job interview is different. Nevertheless, motivation, enthusiasm, and positive attitude (nearly) always works. 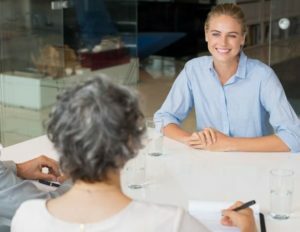 Weakness interview question – Learn how to identify your weaknesses, and how to talk about them in an interview, to make a good impression on the hiring committee. Interview Success Package – In three hours from now, you can be ready for all difficult questions, and you can get rid of interview stress. Our package is one and only thing you need to pass your interview with ease. 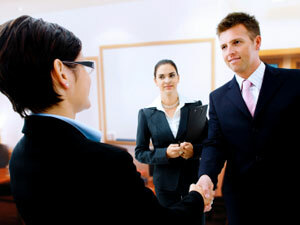 Get a competitive edge and outclass your competitors in an interview! Why should we hire you? 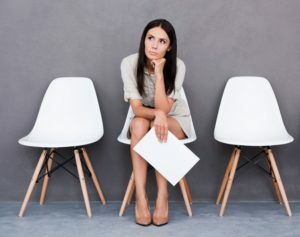 – Job seekers hate to hear this question in an interview. Learn how to understand the value you can bring to the company, and how to present this value to the employer, so they will understand it makes sense to hire you.